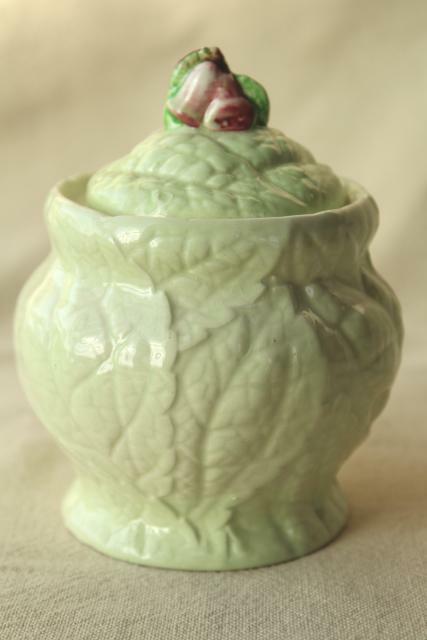 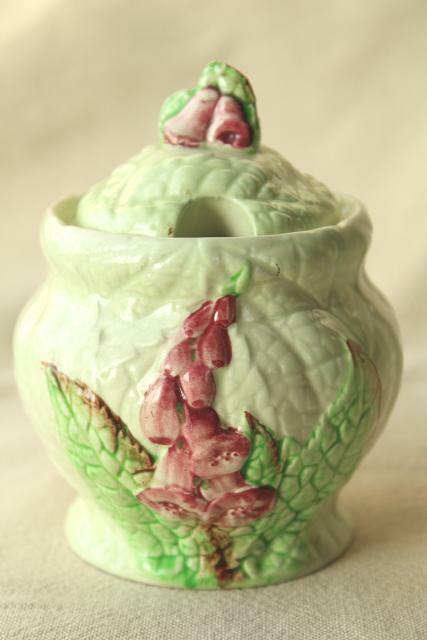 Foxglove pattern CarltonWare china jam pot, about 4 1/4" tall. 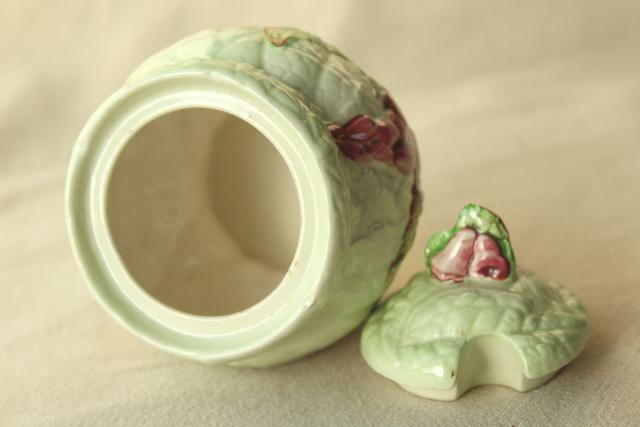 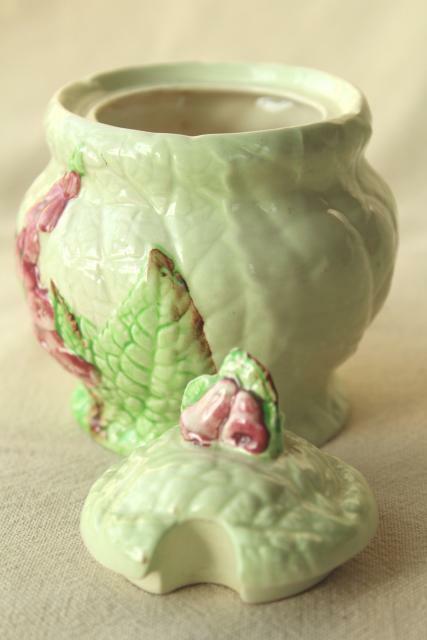 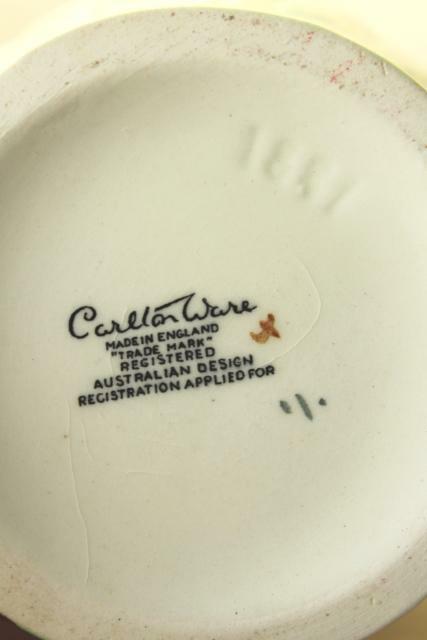 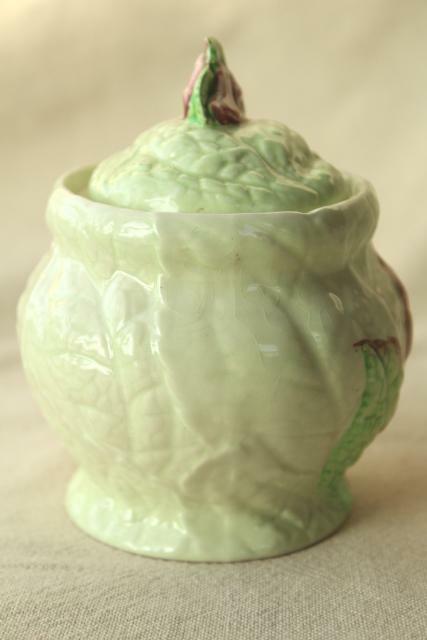 This has a beautiful textured flower and leaf design (like majolica, but china, not heavy pottery). 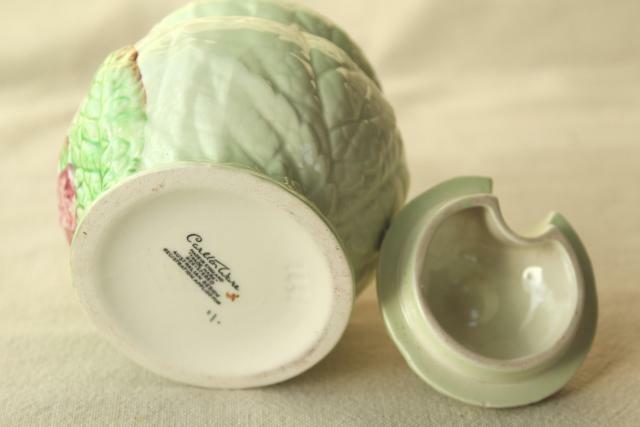 It's in very good condition without chips, cracks or staining.